Alfred Nightingale and the Water Chute Tragedy. 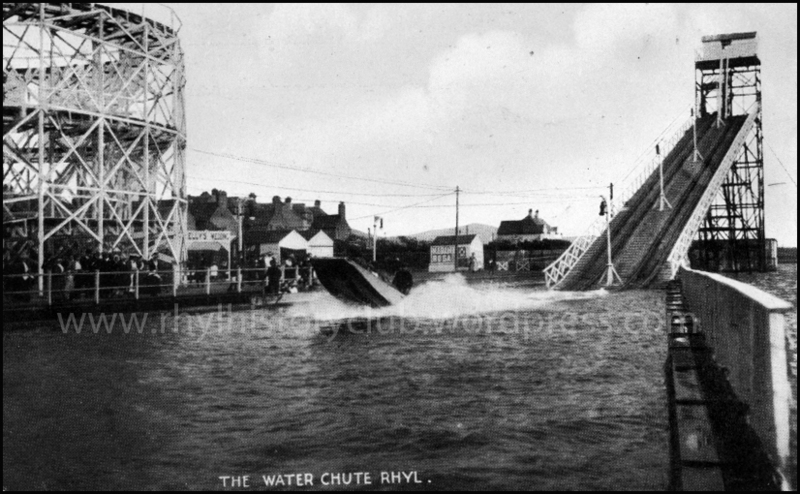 Photographs of the Water Chute at Rhyl’s Marine Lake are not uncommon, it was proudly featured on many postcards. Most people who are interested in Rhyl’s history will know that there was a tragic end to this popular attraction. What actually happened, and to whom, is not so well known. 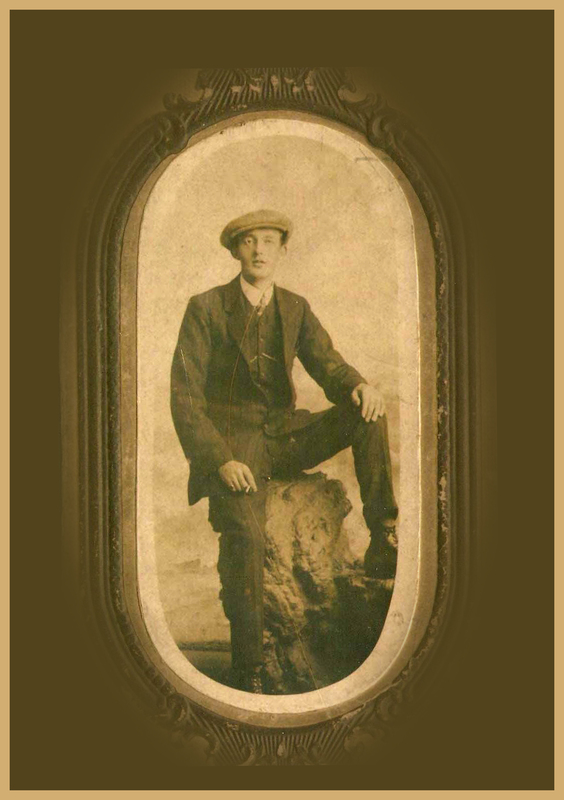 It was 100 years ago that Alfred John Nightingale, a young man from Bala, fell to his death from the Water Chute on Monday, June 22nd, 1914. He was one of 800 people who had travelled to Rhyl that day on one of the very popular day trips organised by the Calvanistic Methodists. Alfred was a painter and decorator from Tegid Street in Bala, he travelled to Rhyl with other Bala men including John Meredith Morgan, a grocer, William Lewis Evans, a printer and Hugh Robert Hughes. These men were all called to give evidence at the inquest which followed the accident. 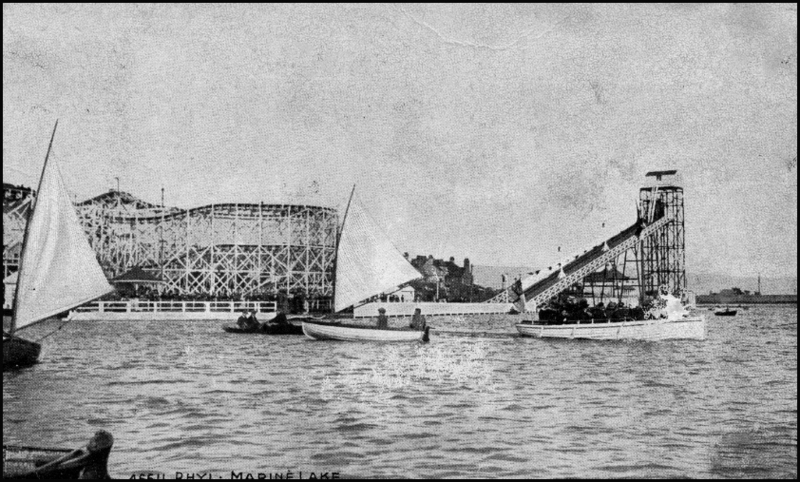 During the afternoon on that fateful Monday, Alfred and John Morgan decided to have another go on the water chute, having already been on it once earlier in the day. Alfred was in a boat with Wm. Lewis Evans and Hugh Hughes. There were ten passengers in the boat altogether, including three county school boys aged 16 and 17 years, and the boatman. Alfred’s companion, John Morgan, got into one of the boats behind. The boats were conveyed along a sort of canal to the bottom of a lift where the boat entered a cage and a signal was given to raise it. When it had risen approximately six feet, the front part of the boat appeared to tilt up. The boatman, John Haines, was collecting tickets when he noticed the boat tilting. He told the passengers to sit still and hold tight to the iron at the side but they clambered out onto the bars. Wm Lewis Evans had climbed onto a bar and, while he was clinging there, he saw Alfred turn a somersault and then saw him lying on his back on the platform with blood flowing from his nostrils and mouth. Mr Evans got to the ground by sliding down a post. Hugh Hughes was struck on the neck by the cross bar as the boat started to slide, he damaged two of his teeth. He got onto a bar and jumped to the platform. Hughes told of having seen Alfred fall and strike the framework of the boat. Dr Jones, who examined Alfred’s body shortly after the accident, said there could be no doubt that a fracture of the skull had caused instantaneous death. The news reached Alfred’s mother, Grace, later that day. She had not only lost her son but her only support. The inquest was held the following day by Mr F. Llewelyn Jones, the Flintshire Coroner. Mr Jordan, solicitor, Bala, watched the case for Nightingale’s mother; Mr Joseph Lloyd, solicitor, Rhyl, appeared for the lessees of the Lake; and Mr. A.A. Goodall for the Rhyl council who owned the Lake. The inquest heard from Mr Alfred Barnes, manager of the Lake, and an engineer by profession, that the for five years chute had worked without accident. He explained that the boat was floated on a cradle, and that cradle was held by a safety catch, which was released by the boatman when the boat and its load reached the top of the chute, and returned automatically to its place. He said he could not account for the accident but from what he had heard from the evidence the only conclusion he could come to was that the safety catch of the cradle became accidentally released. The jury returned a verdict of death by accident, and exonerated all persons from blame, but added a rider bearing out suggestions from the Coroner that steps should be taken to remedy the defects revealed by the accident in the mechanism of the lift, and that more definite signals should be used by the attendant in starting the lift. A vote of condolence was then passed to Alfred Nightingale’s mother and Mr Joseph Lloyd remarked that the Company would also show their condolence in some other way as well. Many people attended Alfred’s funeral on Thursday, June 25th when he was laid to rest on the banks of Llyn Tegid, Bala Lake, in St. Beuno’s cemetery, Llanycil. A very pretty wreath was given by the other people in the boat with him. Many thanks to Fiona Swinden, a relative of Alfred Nightingale, for providing us with information and the photograph of Alfred. Presumably it was closed after this then. Ruth-we can mention this when we do the slide show.